Entrepreneurial StrengthsFinder delves into the psychology of the entrepreneur. Gallup research shows that decisions and actions, influenced by the personality of the entrepreneur, affect the survival and growth of the venture. Entrepreneurial StrengthsFinder is about understanding what drives entrepreneurs to start, sustain, and grow a successful company. What are the personality characteristics and behaviors that lead to venture creation and success? Can one learn to be an entrepreneur, or is it a quality a person is born with? The book attempts to answer these questions with the hope that if you are planning to start a business or are managing one, you can discover your entrepreneurial talents and in the process, increase your potential to start or grow your venture. Written in an engaging, conversational style, Entrepreneurial StrengthsFinder includes strategies and action items for building successful ventures. It also features an online test that measures readers' entrepreneurial potential. 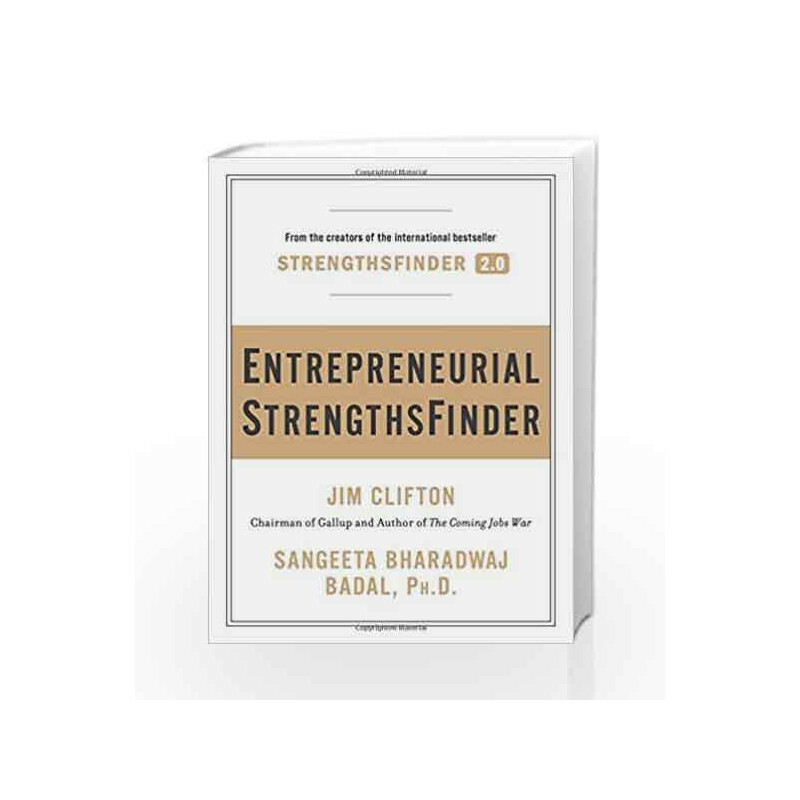 Entrepreneurial StrengthsFinder is meant for several audiences -- from those who are planning to start or grow a business to investors and coaches who can help identify talent and then foster and support that talent to start or grow a business. Entrepreneurial StrengthsFinder Book is not for reading online or for free download in PDF or eBook format. 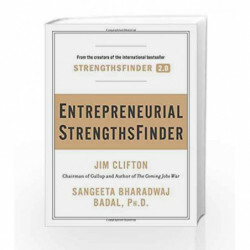 Table of Contents,Index,Syllabus,summary and image of Entrepreneurial StrengthsFinder book may be of a different edition or of the same title.